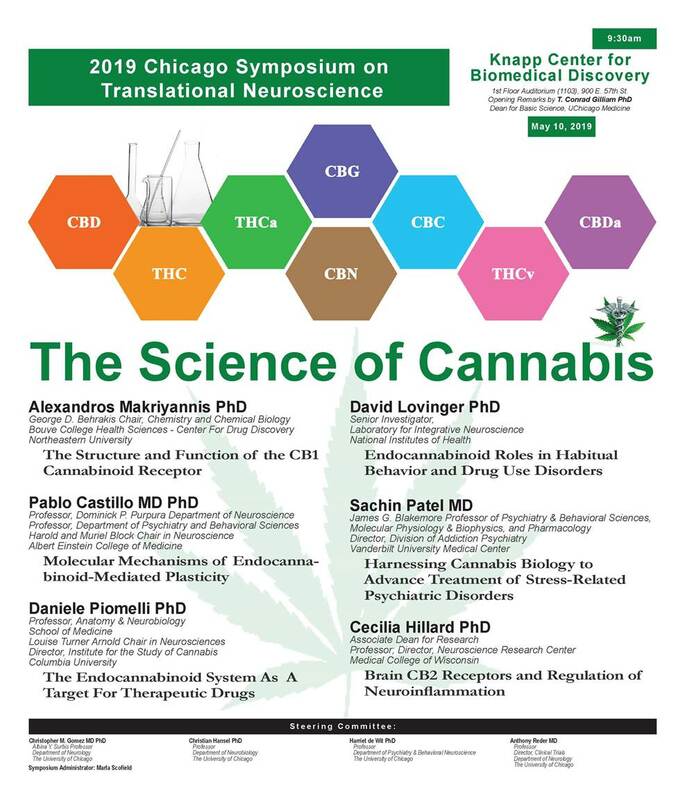 The 2019 Chicago Symposium on Translational Neuroscience is set to be held at the University of Chicago's Knapp Center for Biomedical Discovery on May 10, 2019. This Symposium will be focused around The Science of Cannabis and includes talks from various renowned professors and researchers. To register please send an email to mscofiel@uchicago.edu – include your first and last name, degree, and institutional affiliation.